What can US$3.05 billion worth of FDI bring to Vietnam? FDI flow to the real estate sector has been increasing steadily in the last five years. There are two special characteristics of capital flow. First, most of the foreign investors registering their projects are from Asia. Second, they have recently begun paying attention to the northern market, especially Hanoi, while they previously mostly targeted the Ho Chi Minh City market. Whether the big FDI capital flow into the real estate sector is good or bad remains a hot topic of debate among analysts. 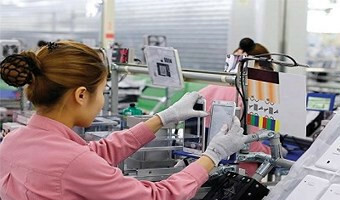 While some believe that Vietnam should focus on attracting FDI to the manufacturing and service sectors which can bring advanced technology and generate added value, others believe Vietnam still needs to continue luring FDI to real estate. Su Ngoc Khuong from Savills Vietnam said foreign capital brings additional resources to Vietnam, thus accelerating growth. Foreign investors, with their experience and relationships, bring Vietnam closer to other developed markets in the region. The … [Read more...] about What can US$3.05 billion worth of FDI bring to Vietnam?